1973: The Arab oil-producing states impose an embargo against nations supporting Israel in the Fourth Arab-Israeli War, also known as the October War, Ramadan War or Yom Kippur War. The effect upon petroleum-consuming countries was immediate, profound and long-lasting. The oil embargo, and the cut in production that accompanied it, doubled the price of crude and reduced overall supply. That forced gasoline prices to skyrocket at the pump and led to rationing and the imposition of price controls in the United States and Western Europe. Long gas station lines and frustrated motorists became iconic images of the early 1970s. It also awakened the West to just how dependent it was on Middle Eastern oil, and how fragile that lifeline really was. The decision to use oil as a weapon was made prior to the opening of hostilities. 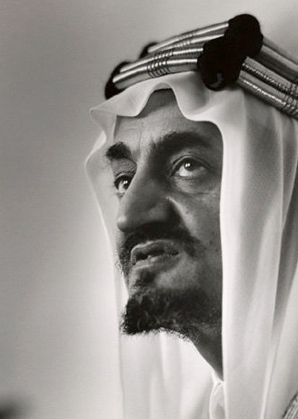 Egypt’s Anwar Sadat and Saudi Arabia’s King Faisal met a month-and-a-half before Egypt and Syria attacked Israel. They agreed to play their trump card — in many ways, their only card — when the expected support for Israel materialized, which it quickly did. The Yom Kippur War, which began with a surprise attack Oct. 6 (timed to coincide with the Jewish Day of Atonement), went badly for the Arabs. After initial gains, the Syrians were driven from the Golan Heights, and an entire Egyptian army was cut off in the Sinai Peninsula. The offensive fell apart, the United Nations and United States brokered separate ceasefires, and it was all over by Oct. 26. But the embargo continued. Because of the embargo, Arab oil producers were able to wrest control of their vital commodity from the Western oil companies that had been exploiting them for years. When some members of the Organization of Arab Petroleum Exporting Countries, notably the Saudis, followed up the embargo by nationalizing their oil companies, the westward flow of petrodollars reversed itself, and the drunk-on-money Middle East cartel that we know today began to emerge. In the West, and especially in the United States, the embargo and the “oil shock” that accompanied it brought about profound changes. In November, President Nixon signed the Emergency Petroleum Allocation Act, which — among other things — instituted rationing and price controls. A few months later, the United States embarked on Project Independence, an early and failed attempt to make the country energy-independent. As a result, offshore oil drilling became a priority in a way it never had been before. Later, when the embargo ended and the flow of oil resumed, these correctives were either cut back or abandoned. But the psychological damage was complete: Oil-gluttonous Americans have remained paranoid about their supply ever since. Finally, on March 17, 1974, Arab oil ministers (with the exception of Libya) lifted their embargo against the United States. But the playing field was forever changed. This article first appeared on Wired.com Oct. 17, 2008.